Shearsafe is not complicated and easy to implement into your business. Shearsafe consultants come from within the shearing industry, not outside it. They will visit you and your team, and assist everyone in understanding and implementing the program. Yet after many years research, and investigations, injuries and workers compensation costs have risen in some areas, in real terms by over 100% in 5 years. 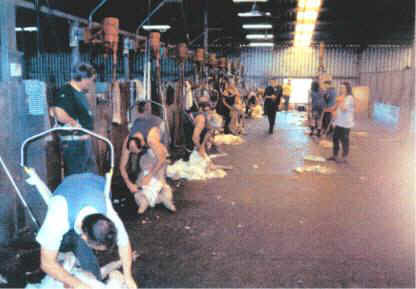 There has been a lack of documented evidence on shearing injuries. The seasonal and itinerant nature of the shearing industry has made it difficult to study the variables associated with injuries. Some work place conditions have not improved in 100 years. Work output has increased, and safety in the work place has not.